On March 8th, the legislature will be in its 60th day of the 140 day legislative session. This is a significant for two reasons. This day makes the last day for bills to be filed and it also means we are able to start hearing legislation on the floor. The Texas Constitution states that bills can not be considered on the floor until the 60th day of session unless it is declared an emergency item by the Governor. The emergency items declared are: school finance reform, increasing teacher pay, school safety, mental health programs, property tax reform and disaster response. Last session at the bill filing deadline we had 6,631 bills filed with only 1,211 bills passed. As of today we are at a total of 4,290 bills filed which is a higher number than this exact day last session. We are also experiencing a record high of legislation being drafted by the attorneys at legislative council. All signs point to another record breaking number of bills being filed. Now is the point in session where I will spend most of my days in committee hearings vetting legislation and we will gradually transition to more time on the floor debating legislation. If you are ever interested in learning more about a bill or tracking legislation, the public has access to Texas Legislature Online where you can set up alerts and follow the status of a particular bill. My office tracks bills that constituents call or email about so that when it is up for a vote on the house floor or in a committee that I am a member of, I know who from the district has called in favor or against. To voice your thoughts on a bill, you can email phil.king@house.texas.gov or call the Capitol office at 512-463-0738. 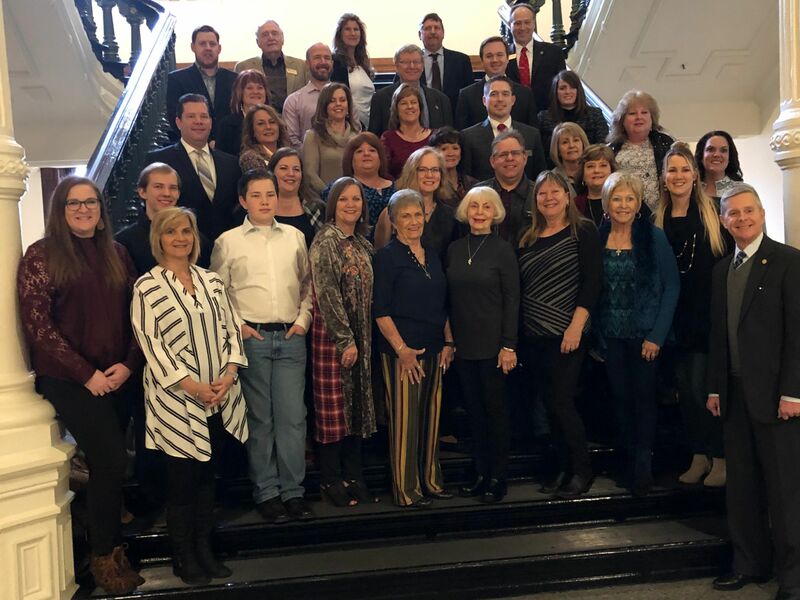 The last two weeks residents of Parker and Wise counties joined me the Capitol to celebrate their county days. 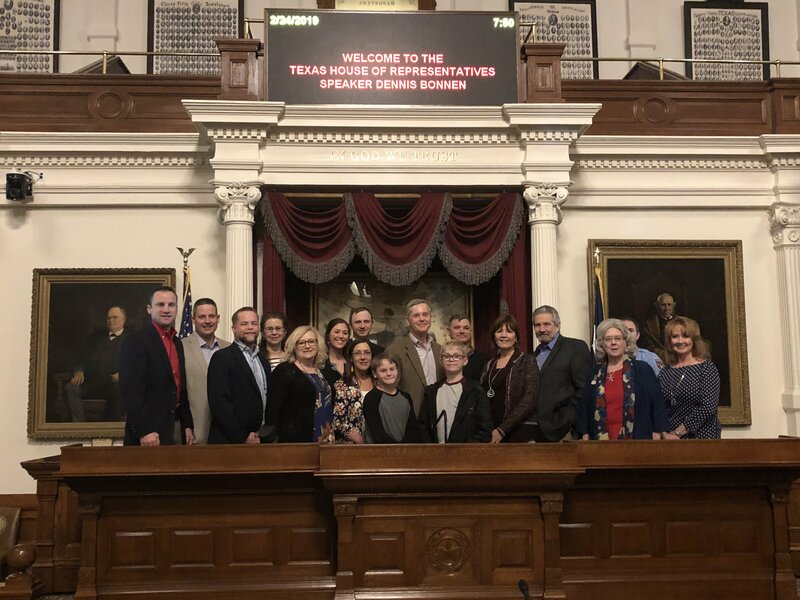 I enjoyed attending the Wise County reception and giving Parker County residents a night-time tour of the Capitol. I was honored to pass resolutions recognizing each counties’ achievements and contributions to the State of Texas. It is always a pleasure to meet with officials, leaders, and residents. Celebrating Wise County Day at the Texas Capitol. Night Tour at Texas Capitol for Parker County Day at Texas Capitol. 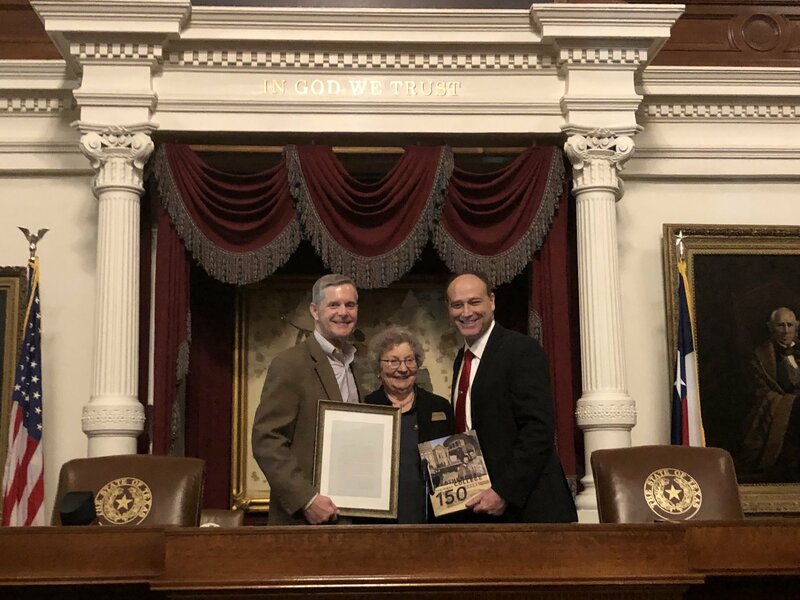 Recognizing Weatherford College for their 150th Anniversary. Pictured Dr. Tod Allen Farmer and Board Vice Chair Sue Coody. This week the House Committee on Redistricting which I chair held its first public hearing. Our committee consists of 15 members with only 6 members that were in the legislature during the last redistricting cycle. Our committee hearing focused on the data and tools used in the redistricting process with a presentation by the U.S. Census Bureau to discuss the process of conducting the decennial census. Census Day will be on April 1, 2020. I expressed my commitment to ensure a transparent and legal redistricting process and I appointed a bipartisan subcommittee to propose locations in Texas for our committee to hold interim hearings. We are excited to get started on this very important process for 2021 redistricting.